In a matter of a week, two Tesla Motors co-founders came out criticizing the use of hydrogen fuel cells in the automotive industry. Electrek.co first reported on JB Straubel answering journalists at the International Transport Forum 2016 about his opinion on the future utilization of hydrogen Fuel Cells in transport. This is what Straubel had to say. "Maybe this is a country viewpoint, especially amongst some of the OEMs in Japan but I am not a fan of hydrogen. I do not see a future for hydrogen as a transportation fuel. The efficiency of going from the primary energy source, whether it is solar or window, wherever you are creating the hydrogen – whether it’s solar, wind and hopefully it is sustainable, going all the way to the energy consumed in the vehicle is very inefficient. I think it is kind of an intellectually attractive idea because I see everyone saying “hydrogen is abundant, it’s just makes water”, but those are totally irrelevant points for using hydrogen in transportation. 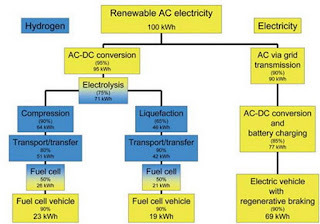 What you need to look at is the efficiency of going from primary energy to consumed energy, and hydrogen vehicle uses roughly three times more than an electric vehicle. That’s a fundamentally tough limit. If all the other economic issues can be sorted out, you end up in a place that’s going to be three times more per mile to drive and has a three times more environmental footprint. There’s also a very tough infrastructure problem with hydrogen vehicles that no one has been able to solve. 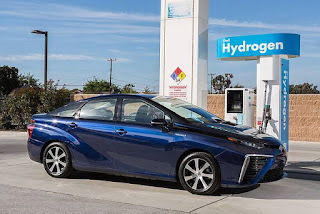 In my home state in California, there’s a big effort to try and deploy hydrogen vehicles, but the infrastructure has lagged behind. The difficulty of putting a hydrogen fueling station is extreme – the permitting process, people don’t want them in their neighborhood – we have something like five or ten stations in the entire state. And that’s taking years and years,, they haven’t been able to expand it rapidly. I think there’s a really tough chicken-and-egg problem there. I don’t see the future. I believe batteries will end up improving faster and making hydrogen a bit irrelevant." Earlier that week, former Tesla co-founder Marc Tarpenning was on the InternetHistory Podcast - hosted by Brian McCullough - where he discussed his early years from startup company NuvoMedia with the first commercial handheld Rocket e-reader, to his years at Tesla with Martin Erhard, his venture partner. Electrek.co has published a detailed article about this section of the podcast as well where he expressed his skepticism over hydrogen fuel cells, similar way Straubel did. In the podcast, you can hear the host asking Marc about his early years at Tesla when deciding which technology to use to drive the vehicle. "The big thing at the the time was hydrogen fuel cells… but you guys did the math and said NO, electric is the more efficient way to go if you’re trying to improve what a an electric car could be." Marc answered "Correct. If your goal is to reduce energy consumption, specifically oil consumption, in any given resource, you want to use it as efficiently as possible, right. You don’t want to pick something that consumes lots of that for no apparent reason, and hydrogen is uniquely bad. 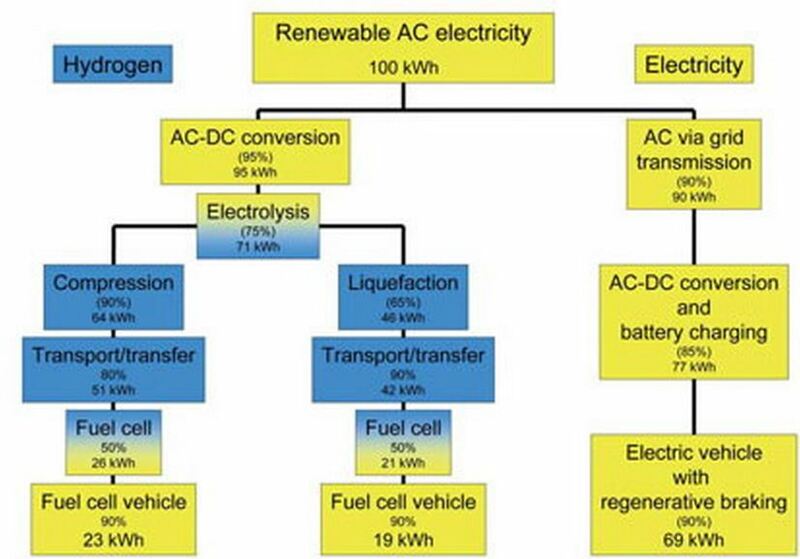 There’s a saying in the auto industry that hydrogen is the future of transportation and always will be and it’s a scam as far as I can tell because the energy equation is terrible. It is just terrible. The proponents would say it is the most abundant element in the universe, but it’s abundant out there in the universe not here. We live on a planet. On our planet all the hydrogen is super reactive. It’s bound up into everything, it’s bound up into water, wood and everything else. So the only way that you get hydrogen is that you have to pour energy in to make it, you have to break it free from the chemical bonds that it’s bound up into. So electrolysis is the most common thing: you put electricity in water and it separates it, but you are pouring energy in order to make hydrogen, and then you have to compress it and that takes energy, and then you have to transport it to wherever you actually need it, which is really difficult because hydrogen is actually much harder to work with than gasoline or even natural gas, and natural gas is not that easy. And then you have to convert it ultimately in a car. You have a very high-pressure vessel in your car which has its own safety issues. And then on top of that you have to convert it back into electricity to make the car go because hydrogen powered cars are really electric cars. They just have an extraordinary bad battery. Hydrogen is an energy carrier, it’s not a primary fuel source on this planet. Maybe out somewhere in the universe it might be, but not on terrestrial planets. So when you add that all up, it turns out that the amount of energy per kilometer driven is just terrible. It’s way worse than almost anything else you can come up with, which I’ve always suspected it’s one of the reasons why the energy companies have been big proponents of it. When we were raising money the first time, we had really carefully gone through all the math to understand fuel cells because there was a bunch of money going into fuel cells at the time, and also we looked at bio-fuels and ethanol. We sort of went down the whole list and figured out what the most energy efficient system was, which turned out to be battery electric cars. Because charging and discharging with Lithium Ion batteries is over 90% efficient. You hardly lose anything in the storage part. But we would go to these VCs (Venture Capitals) and we would say, we had a whole flight deck on why hydrogen fuel cells are a bad idea, and about half the VCs would get to that part and say “skip this, we know it’s a scam, we’ve done the analysis” and the other half of the VCs would get really quiet and ask lots of questions about it and have us go back over the slides again about the hydrogen fuel cells, because they have of course invested in fuel cells. All of which went out of business. There are fuel cells that are useful for other things. There are some really funny solid oxide fuel cells. There’s ones like in the basement of the stock exchange that runs on natural gas for backup power because they can’t use diesel generators in downtown Manhattan.But for storing energy and driving cars it’s insane because you almost get nothing for the Kwh you put in." Water is the "exhaust" of driving with hydrogen, and not a problem at all. The enviromental footprint from hygdrogen is from production, compessing, and distribution of it. At least three times bigger than if you ran an electric car. You should probably read the article you're commenting on, as it's explained in it. But somehow, I don't expect actually gaining knowledge is your objective here.